An elderly couple traveling from California to Vermont had an interesting excuse for the 60 pounds of pot deputies found in their car in Nebraska. YORK, Neb. -- An elderly couple traveling from California to Vermont had an interesting excuse for the 60 pounds of pot deputies found in their car in Nebraska. 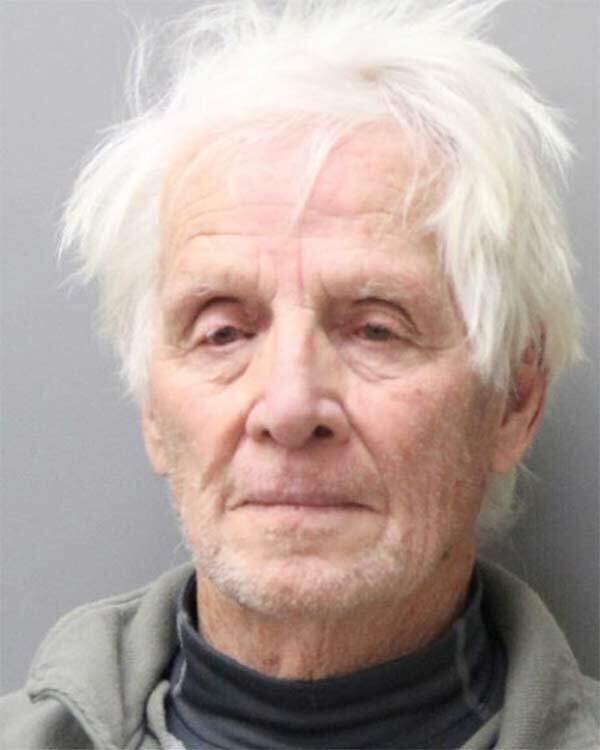 Patrick Jiron, who is in his 80s, and his wife Barbara were traveling from California to Vermont, according to the York News-Times, when they were pulled over in York, Nebraska. York County Sheriff's Lt. Paul Vrbka told the Times the Jirons' Toyota Tacoma was going over the center line on Interstate 80 and the driver failed to signal. When deputies stopped the car, they could immediately smell the strong odor of raw marijuana, Vrbka said. Dundee, the county's drug dog, alerted to the presence of a controlled substance and a search was conducted, the publication stated. The Jirons admitted they had marijuana in the back of the pickup truck under a topper, and deputies found 60 pounds of marijuana inside boxes. They told deputies they planned to "distribute the marijuana to family and friends as Christmas gifts." This Dec. 19, 2017 photo provided by the York County Sheriff shows Patrick Jiron. Vrbka told the Times the couple told deputies "they didn't know it was illegal to transport marijuana in Nebraska." Patrick Jiron was arrested for possession with the intent to deliver and for not having a drug tax stamp. He has since been released on bond. Barbara Jiron was cited in the case but was not jailed "due to some medical issues," Vrbka told the Times. The marijuana had a street value of more than $300,000.